Researchers have debated for years whether money can lead to happiness. Indeed, the findings to date are contradictory in regard to the impact of individuals’ motives for making money on their psychological well-being. This study aimed to reconcile these findings and show that certain motives for making money can be beneficial to individuals’ psychological health, while others can be detrimental, not only by reducing well-being, but also by increasing ill-being. Based on self-determination theory, basic psychological needs (autonomy, competence, and relatedness) were hypothesized to be the psychological mechanism explaining these differential effects. More precisely, need satisfaction and need frustration were hypothesized to mediate the relationship between employees’ money motives and psychological health (well-being and ill-being). Our findings suggest that self-integrated motives for making money lead to greater well-being and lesser ill-being by positively predicting need satisfaction and negatively predicting need frustration. On the other hand, non-integrated motives for making money appear to result in lesser well-being and greater ill-being by being negatively associated with need satisfaction and positively associated with need frustration. 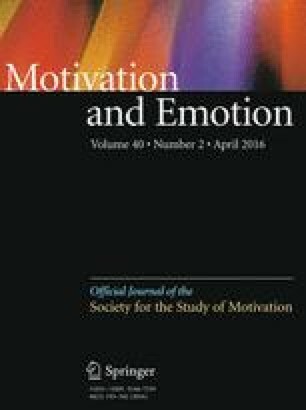 Together, these findings suggest that money motives can have differential effects on employees’ psychological health depending on whether these underlying reasons are need-satisfying or need-frustrating life goals. The research was facilitated by a grant from the “Fondation de l’Ordre des conseillers en ressources humaines agréés” to the fourth author. All procedures performed in the current studies involving human participants were in accordance with the ethical standards of the institutional and/or national research committee and with the 1964 Helsinki declaration and its later amendments or comparable ethical standards. Costello, A. B. & Osborne, J. W. (2005). Best practices in exploratory factor analysis: Four recommendations for getting the most from your analysis. Practical Assessment Research & Evaluation, 10(7). http://pareonline.net/getvn.asp?v=10&n=7.